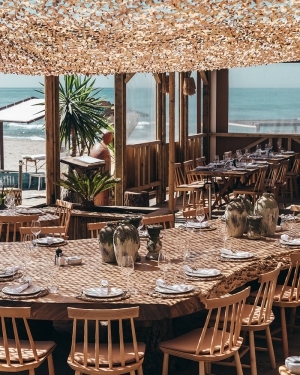 The beach bars in Marbella all offer something different - whether its cocktails and International DJ's or sangria and a relaxing day on a sun bed, you'll find both and a lot in between here in Marbella. In this sub-category you will find a selection of beach clubs from the luxurious and Ultra VIP clubs such as Nikki Beach, Ocean Club and Sala by the Sea with their champagne spray parties, HUGE sunbeds and fun filled pool parties, to those which serve up some delicious gastronomic beachside cuisine such as The Beach House, Siroko, Trocadero and Sonora Beach. Not to forget those which are just perfect for a family holiday in the sun with comfy sun loungers, plenty of Paella and some Tinto verano to wash it down!